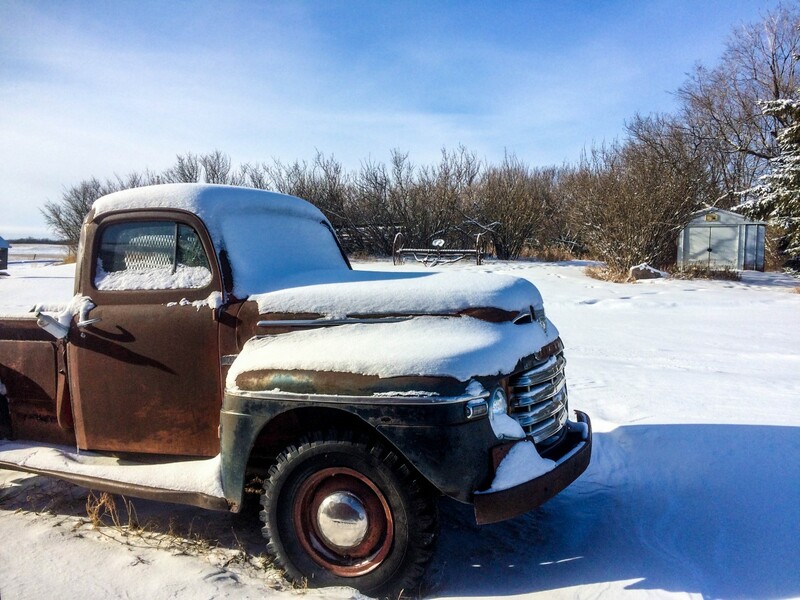 UPDATE – This truck saw some serious bidding and for good reason, but unfortunately, the winning bidder apparently flaked out. It’s now been relisted and this time with an $8,500 BIN and the option to make a lower offer. You can find it this time, here on eBay, so be sure to take a closer look! FROM 4/16/2018 – Now, if you are going to preserve a classic pickup truck, this is how you do it! 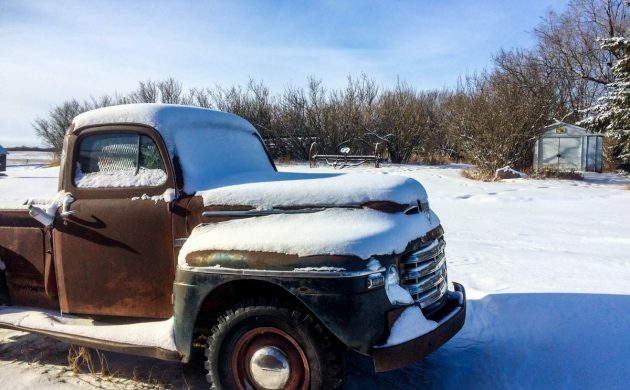 This ’51 Ford has all the right touches to make it the kind of truck you want to own. 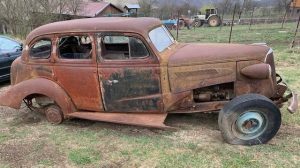 They’ve preserved the original patina as best as possible, the interior is amazing and the original flathead V8 has been tuned up and is ready to go back to work. Heck, they even managed to get the dumping bed working again! 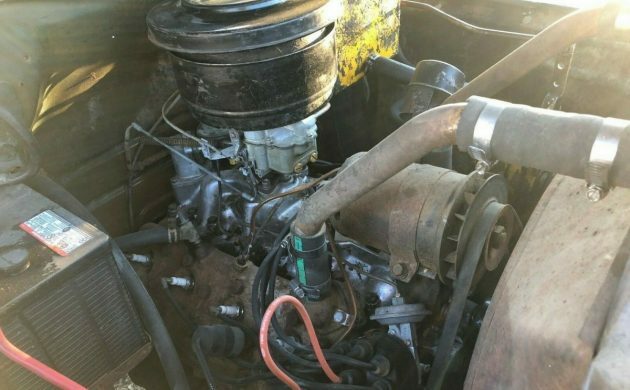 So, if you’ve been on the hunt for a really cool classic truck, you really should give this one a closer look here on eBay. It’s located in Pembina, North Dakota with a current bid of $5,600. Rather than clear coat it or prep it for paint with rattle cans of primer, they decided to polish out the original paint. This might seem like a ton of extra work, but it gives the truck a great look and won’t cause issues if you decide to have it repainted. Clear coating over the rust can definitely look cool, but it can be a bit of a pain when the time comes to paint it. Personally, I’d leave this truck exactly as it is and just focus on enjoying it. Now for the real jewel, the interior! 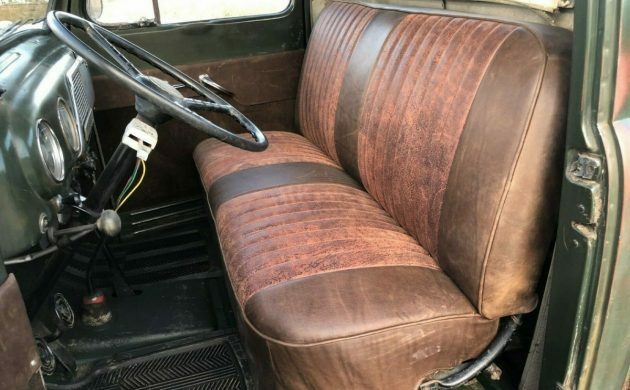 They could have slapped a cheap vinyl seat cover on the original bench, but instead, they decided to go with a Moore & Giles Leather throughout the truck. Even door panels were covered in this beautiful leather. While it’s new, it still has the great vintage look and makes this truck seem far more high end then it ever would have been new! Everything is said to work inside, but then again it’s a pretty simple vehicle. 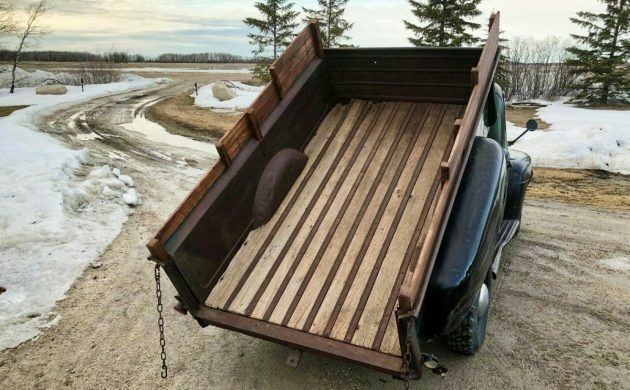 Leaving the original wood bed is an interesting choice, but it tells this truck’s story. Clearly, someone took care of this truck for the wood to have not rotted away. If I were going to use this truck for anything other than causal Sunday drives, I’d probably want to install some new wood, just so I don’t have to worry about splinters or breaking the floor. And honestly, I would see myself not just showing this thing off, but actually hauling supplies in it. Just imagine pulling up to get a load of gravel in this thing! Love the interior! I’ve got two custom made pieces of furniture covered in Moore and Giles leather. That stuff isn’t cheap. 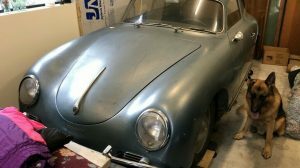 I had a ’51 F-1. One day I took it to get a load of manure from a local dairy farmer. I optimistically parked it under the end of the conveyor, and the fresh manure started flopping into the truck bed. It formed a handsome pile by the time I told him to stop. It felt pretty heavy when I started to drive away from the barn. By the time I got rolling down the road, the nice-looking pile had been transformed into a semi-liquid slurry about level with the top of the tailgate. I don’r remember if I watched the mirrors for following traffic, but I imagine they must have given me a wide berth on the way home. I see they have clear coat rattle cans in Nordakota too. 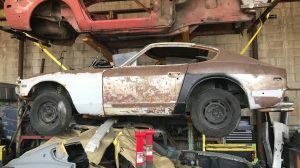 Another great find, and the hoist should seal the deal. Once a popular accessory, the bed lift is almost unseen today. It really extends it’s usefulness, and I’ve “shoveled off” loads in pickup boxes, a lift is just a tad easier. I agree leave it as is. Up to 5500 bucks or so…add another 1665 bucks to get to SoCal…..I better play the Lottery this week. Useful and done as far as I’m concerned. Great truck. best truck ive seen in a long time. Love the effort that went into this save; no overkill. Congrats to the enthusiasts who saved this and to the future owner. Bought a 51 F2 in probably 61 for $500. The truck had always been garaged and never used as a truck, just for transportation. I wish that I still had it, but I cannot even remember what I did with it. As my 3 year old always screamed at Saturday morning TV ads: I WANT, I WANT THIS BAD. 51-52 my favorite year!! The grill is just the best to me!! Never had one the front seat is sweet it matches the seat I had made for my 82 Harley!! Damn I’m playing lotto too!! This ones calling my name!! Nice! Makes me think I need to get back to work on this Canadian only Mercury M68 in my yard. Looking at that snow, I really need to get to Canada. Did it sell and if so what was the final bid? You folks that need to win the lottery need to learn how to save; $6 to 7K is not that much money today. Mmm-hmm, sounds like wifey found out,,again. I applaud the seller for just addressing the major “usability” issues to make this a usable driver, but NOT going too far. At a BIN Price of just $8500 somebody needs to snap this up RIGHT AWAY. I mean, Honestly, where else can you get a unique RUST FREE classic like this that will impress EVERYONE at your local “Cars & Coffee” for just 8.5 grand?? 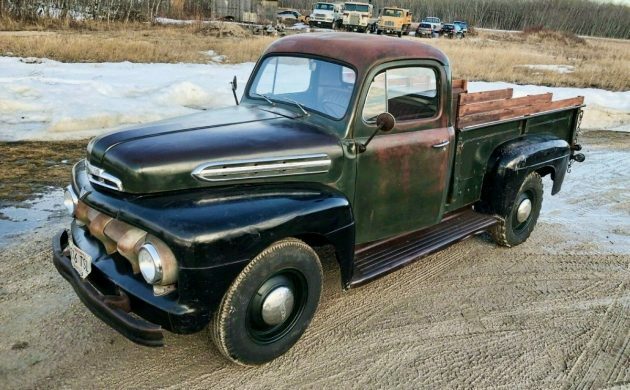 For those of you who prefer a “perfect” truck with a period correct fresh paint job, this one is STILL a bargain, & it is an excellent candidate for a “drive it & enjoy it today as is, then do a full restoration in a few years when you have more time/money to do it right”!! 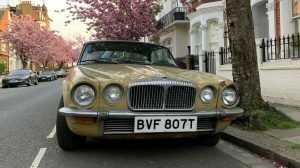 How often do you find an affordable “PROJECT” vehicle that you can actually jump in & drive today. …perhaps for weekend trips with the grand-kids to the ice cream shop? What’s not to like about that? ?